Every Friday I answer questions over at The College Solution’s Facebook page. Posting questions on Friday via my Facebook page is the best way to get my attention. Lots of people email me, but I just can’t answer all the queries, which makes me feel guilty. My husband calls it the Catholic-school-girl guilt that I have never been able to shake. The reason why I’m bringing up my Facebook page today is because last Friday I turned the tables on my Facebook friends and asked them for their help because I was stumped by a mother’s dilemma. 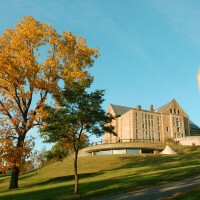 Cornell University had rejected her daughter for the 2013-2015 school year, but the university had made a counter proposal. What are your thoughts on these creative admission offers college are extending to students in lieu of a traditional acceptance/enrollment? Cornell was/is her 1st choice. So, at first she was sad because “she didn’t get in”, then she was happy because she thought “Hey, this is better than the wait list and YES I’m going to graduate from Cornell.” My concern is that she is now looking for a school where she can most easily achieve the freshman GPA requirement to get into Cornell instead of choosing from other very nice schools where she was accepted (like College of Wooster). I have your 1st and 2nd editions of The College Solution and while I got VERY useful information from them, you didn’t cover this! 🙂 What are your thoughts? Do you know of anyone that has done this transfer deal? Is this a good thing? Or do you think my daughter should just let go? What’s College Rankings Have to Do With This? I am aware of schools offering students a freshman slot beginning in the January term, but I had never heard of a school asking an applicant to start somewhere else! One reason why schools ask students to delay college for one semester is for space considerations if there isn’t enough dorm spaces. Students studying abroad, dropping out or transferring can open up slots. There is, however, a cynical and I believe troubling reason why students are being offered a chance to start in the second semester or later. Students who receive these offers typically have earned lower test scores and grades than those who start college in the fall. Schools make these students wait because U.S. News & World Report doesn’t use the test scores and grade point averages of January freshmen to calculate its college rankings. Schools believe that if they make students wait, they won’t take a hit (imaginary or not) from the college rankings giant. I have a friend whose daughter got caught in this trap a few years ago when she applied to Whitman College (WA). She was an excellent student, but she attended a private high school in California where the grading was brutal. With her GPA not as good as many of the its accepted students, Whitman offered her a January slot. Since the girl really wanted to go to Whitman, she took the offer despite the snub. I asked my Facebook friends to comment on schools asking students to wait an ENTIRE YEAR before starting at their school. Apparently it is a small, but growing trend. In fact the practice even has a name — deferred admission or guaranteed transfer option. Colleges are motivated by the same reasons as institutions that only require students to delay attending college by one semester — influencing college rankings and filling the class ranks when attrition occurs. I was particularly grateful for Bob Gilvey, a director of a test prep firm in New Jersey, who shared with me a New York Times’ piece on this shameful behavior. Anybody else consider this practice nauseating? Cornell and every other school making students start somewhere else are hurting the teenagers and the institutions where they initially atten. Students aren’t likely to become a part of a college community because they aren’t staying. That’s not fair. Neither is it fair to the institutions that are clueless about the future plans of some of their freshmen. If you visit my Facebook page, you will see all of the comments about this practice. In the meantime, what you do think? I was a transfer student to Cornell many moons ago. To be fair, I didn’t deserve to get in as a freshman, and would have likely had my behind handed to me if I had been accepted, as I wasn’t ready at 17. Upon my fathers suggestion, I went up to visit the school, fell in love with it, and had a meeting with a transfer coordinator. I was given the guaranteed transfer admission arrangement, which I did. I was, and am eternally grateful for the opportunity the university gave me. After graduating from CALS, I attended the vet school at Cornell. Those degrees hang on your wall for a long time, so having to move from one college to another is of no consequence in the long run. The attitude of “going where you’re wanted” is juvenile in my opinion. That decision is made by a small number of people that may or may not be correct. If I had taken that approach, I would have not had the great experience I had, and the lifelong friends I have made. That’s not to say you can’t have a great experience at another school, but if a student really wants to attend, and is not accepted, I would recommend this approach. To make a large decision based on being insulted is immature. Re: Cornell/ lousy offer- I just want to say I graduated from cornell over 30 years ago- I don’t think most of us even knew college rankings existed but two girls in my dorm started second semester and said that as a condition of admission, they had gone to school elsewhere in the Fall. I think it has always been a housing issue. I disagree with much of the resentment towards the practice of delayed transfer options. 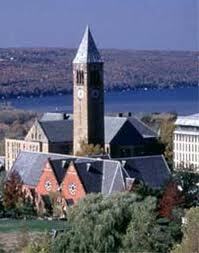 I am about to start at Cornell this fall as a sophomore transfer after receiving a delayed transfer option. After high school, I studied music at New York University. Shortly into my first semester I realized I did not want to further pursue a B.A. in music and withdrew with a tuition refund. I then began working and eventually made my way to a farm where I ended up living and working. Two years later I applied to a handful of agriculture programs on the East Coast. In high school I had fairly high grades and slightly below average SAT scores. Being from New York, I decided I would apply to the College of Agriculture and Life Sciences at Cornell. If I was accepted, I would be able to attend the university at a much lower cost. If I’d been rejected I wouldn’t have been surprised. Upon receiving the delayed transfer option, I decided to go to the school where, if I was unable to meet the requirements outlined in the transfer option, I would be happy to stay and finish my education. I feel Cornell, after having interviewed me and reviewed my essay and application, believed that I had something to offer. The issue was that while my high school GPA reflected this, my standardized test scores did not. Instead of receiving an outright rejection because one component of my application (my test scores) did not meet the usual criteria, I was afforded an opportunity to prove myself. I did fall short on one of the requirements and received a grade below a B in one of my classes. I believe the fact that I was still extended the transfer option after having failed to meet one of the requirements speaks to the university’s intent behind the practice of delayed transfer options. Cornell wants well-rounded students on their campus. Well-rounded students don’t always receive straight As or even Bs. Well rounded students might be involved in community activities that enrich them as people, but also take some time away from studying. Well-rounded students might volunteer at an organization that doesn’t offer letters of recommendations to colleges because they enjoy volunteering and aren’t very concerned with how it looks on paper. It’s hard to capture “well-rounded” on paper. The institution also has its reputation to protect and alumni and donators to please. Whether or not reputations and donations belong in a discussion about education is a valid concern. However, these topics are apart of the process as it is today, if not in the future. By offering me a delayed transfer option, Cornell was able to accept a student that might not fit the conventional Ivy League mold, while at the same time not taking openings in the class of 2017 from students who have worked very hard to fit that mold. With no disrespect to students who found it hard to leave their schools after one year, I also believe that the attitudes held and behaviors exhibited by freshman that plan to transfer after a year can not be attributed to the Universities that accept them as sophomores. If the prospect of such a drastic change in surroundings is so unsettling, students need to employ the same level of self-awareness they used to write their college essay to identify how they feel about the situation and opt out of transferring. Although adapting to the norms of a new community is a difficult, the challenge doesn’t seem to be an issue when planning to leave high school and begin Universities that practice delayed transfer options as a member of the freshman class. I imagine the alarm is raised because, after accepting a transfer option, a student would have to transition from high school to university to a second university within two years. I secede that this is tough, but I hope that the students who aspire to attend the top schools in the North East are tough. More than that, I hope they are resilient. We recent high school graduates are adults and, being adults, need to make, stand by and live through tough decisions with an attitude of resilience and confidence. Far from unethical, I believe the practice of delayed transfer options demonstrates a decreased importance on the results of standardized testing. The SATs didn’t care how many semesters in a row I had made honor roll, how high my grades were, what my teachers and class my thoughts of me, the number hours I worked outside of school, or how involved I was in school clubs and events. According to the SATs I was of average to below average aptitude. To be honest, after any exam that goes beyond two or three hours, I feel a little below average myself. Despite earning high grades on papers, projects and quizzes, I continue to struggle in demonstrating my understanding of subject material on multiple hour multiple-choice scantron tests. Cornell, however, cared enough to look at the applicant as well as the application in a way the SATs could not provide for. They care because they subscribe to a new perception the hopeful college applicant. He is no longer a collection of grades, scores, class placement numbers, and hours of community service. He is a complicated person with multiple faculties, strengths and weakness, and he’s given a shot to show was he’s got. Ah ha. My daughter was just offered admission to Cornell for 2015. Without any hesitation she will enroll in another great choice and never look back. Don’t know if they are gaming the ratings game or simply believe a one year waiting period is still worth it to go to Cornell – guess what, it’s not! She’ll be able to thrive for four years at a school that really, really, wants her NOW for full contribution to their school culture. Cornell – nyeh. of recommended classes to take at your local community college until your slot opens up (spring or fall of following year). Seems to be a common practice. And I’ll be many never attend. Transfer is not pleasant socially for kids. Unless you don’t get into another decent school, not a desirable option. Kids smart enough to apply to Cornell probably do have other good options as well. Sooo, this has been a Cornell practice since at least 2000. Not new at all. 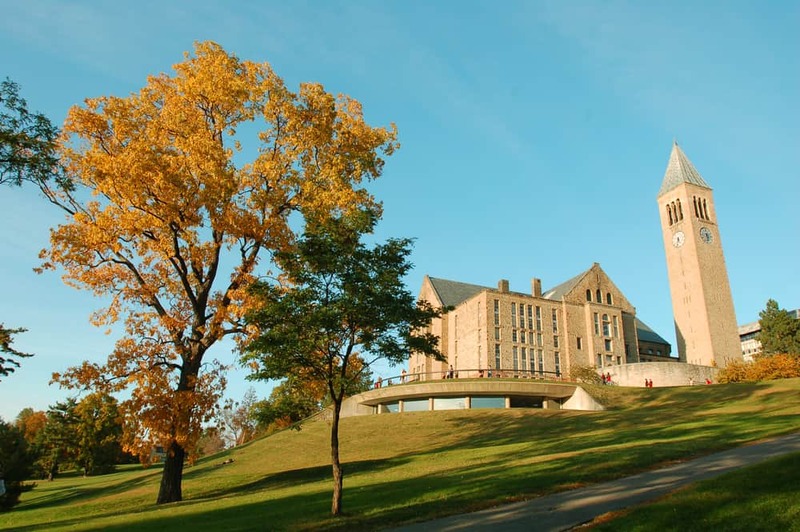 I knew several friends who received offers to transfer to Cornell for their sophomore year and one who said she was offered transfer in her junior year (not sure if that was true), and I had a college classmate who did decide to transfer to Cornell after 1 or more years at my college. (None of them were minorities) I don’t think Cornell expected them to take a year off – but to go elsewhere first. I understand why the school does it – to keep enrollment levels steady as students drop out – but I don’t think it’s a healthy practice. It uproots the student from the first school – where they may have been disinclined to bond with anyone because they knew they were leaving. While the transfers may be greatful for the elite college diploma – I’d still resent that they didn’t want me as a freshman. I dislike this practice for a private institution. Lousy Financial aid offer from Cornell. My child worked hard and got into Cornell. I got laid off from my job. My EFC was 5k before layoff. I have a lot of equity in my home, (no mortgage) luckily because I have no income. I am living off my assets. Cornell wants 50K per year 10x my EFC. My assets are considered too high. I’m over 55yrs old. Very little chance to replace my assets if I spend 200K on college. I am eligible for Food stamps. Cornell doesn’t care. Can’t get an equity loan – no income. Can’t get a private loan – no income. Looking at a 200K plus loan _- Co-sign with child. I have one option left, I have asked Hispanic Society for help. Cornell only for rich people. Blind to realities of people and Government policies created by people they themselves turn out. They create Diversity day for incoming students for what? To make them feel like poor minorities? You are never going to get a fair shake from Cornell. They have probably already made their minority quota so I wouldn’t expect much from them. You should have your kid apply to a state school where they can’t discriminate against Hispanics or other minorities. I do know what you mean about diversity day. It is probably more about unconscious discrimination than outward, but it should tell you and your child something about attending a school that actually advertises diversity day as a positive rather than the clear discriminatory red-lining, especially when it comes to encouraging students at diversity day to select dorm roommates amongst themselves with the hidden message amongst “your kind”, rather than randomly select among the general population. Julian, you should try to appeal and talk to a financail aid representative before you do. Daniel, they invited me to their Diversity Hosting Day, and I definietly agree with your opinion. It did seem weird that they thought it would good for us to choose a roommate among ourselves. But, they are do Diversity day because they feel that many pre-freshmen possible students may feel uncomfortable choosing a University where so many students are white. And this is certainly true for some people, as evident by Historically Black Colleges/Universities have high popularity and many places in America and around the world are primarily one race. They feel if students think they will be around people racially similar, they might be more comfortable and choose Cornell instead of another college. The dorm thing is true- some of my friends have stated that they wouldn’t feel comfortable rooming with another race- which I think is crazy. Cornell is just trying to rope in more accepted students anyway they can, but I don’t like it either. Yes, Berkeley does this. There’s a twist: Deferred students can take their first year of classes IN Berkeley through UC Berkeley Extension. This freshman program is held in a building in a nice neighborhood a few blocks from campus. All the courses parallel UCB lower-division courses and articulate fully with UCB. The classes are small (a plus) but are taught by ABDs and adjuncts (a minus). I don’t know if there is a housing program for these kids or how much the campus facilities are available to them; the campus has very little campus housing and there is a great deal of homelessness and petty crime. As a Berkeley alum and a longtime journalist covering Berkeley I’m not sure how I feel about this deferred option. Berkeley is a terrible place for a 17-year-old to be running loose without the opportunity to affiliate with a sorority, a club or sport or some other cohort that would help provide a sense of belonging. I would allow my child to take part only if we lived nearby and could help the child integrate successfully into the Berkeley mainstream. On the other hand, as someone who returned to grad school after many years, I can tell you that college is tough and you are much more likely to be successful if you’re at a school you’re motivated to attend. If this kid really wants to go to Cornell, let her go to Cornell. No one will care where she did her first year. But make sure Cornell will hold up its end of the articulation agreement — get it in writing! Thanks Barbara for sharing about Berkeley. And thanks for the great idea of getting Cornell’s promise in writing!! Don’t shake that Catholic-school-girl guilt! You will be just fine! I agree with Claire. Choose a school where you are wanted, and get involved and committed to the school you are attending. I’m wondering if this is a way for the private schools to give less merit aid, as well. Don’t freshmen typically get much larger awards than transfer students? It seems they are preying on those students who want to go at all cost. Being from California, I am used to the Community College – UC/CSU Transfer Agreements which students choose and are beneficial to all involved. Cornell’s practice as described above feels cruel…taking advantage of adolescents because they can. Just say no. Choose a school who wants you as you are. We just visited Emory University in Atlanta. They have a system whereby students may be admitted at either Emory or its sister school Oxford in the Atlanta exurbs. There is a guaranteed matriculation to the main campus for successful Oxford students after two years. So this seems to be a “holding tank” arrangement that has worked for years. I think this is a good arrangement. what do you think? Hi Lynn – I think UC Berkeley offers the one-semester deferred admission. I haven’t heard if other UC schools do this. I believe UC Berkeley does. In fact, a friend of Caitlin’s had to start late under this arrangement. Hi Paula — I can’t answer that question.